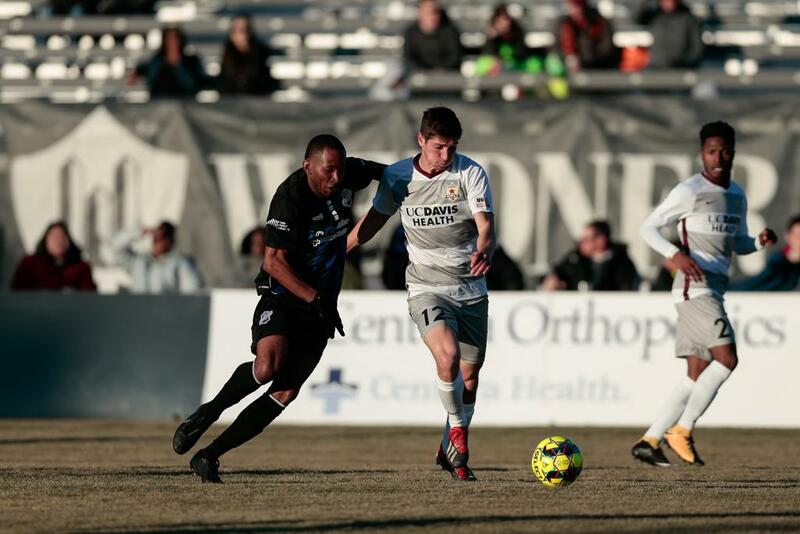 Republic FC was facing off against a Switchbacks FC side that had just returned from a 4-1 demolition of LA Galaxy II on the road. 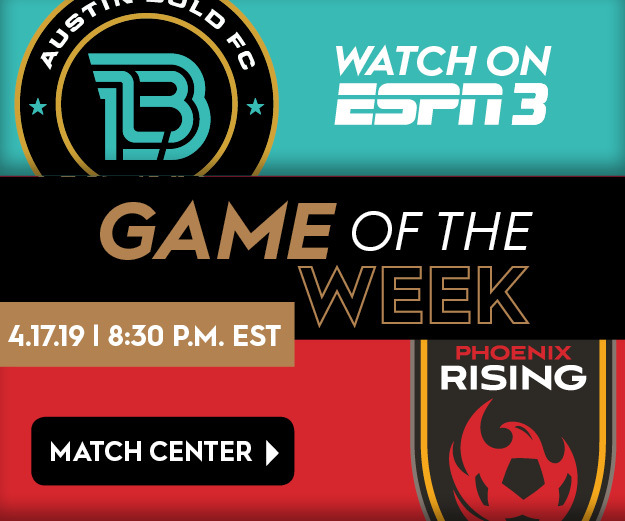 Seeking to avert a similar fate, the visitors looked to shut down Colorado Springs’ Shane Malcolm and Mike Seth, both key figures in the lopsided win over LA with three goals and two assists, respectively. Haris Chantzopolous, who scored the equalizer in Sacramento’s 1-1 draw on opening night, nearly doubled his season tally with a free kick attempt in the third minute that grazed the upper corner of the post. Cameron Iwasa had another opportunity to put Republic FC ahead with five minutes left in the first half, breaking through the defense to fire a shot from an angle, but his effort sailed over the bar. Midfielder Sam Werner, who provided the assist to Chantzopoulos in the opening match, played another key role in Saturday’s contest. 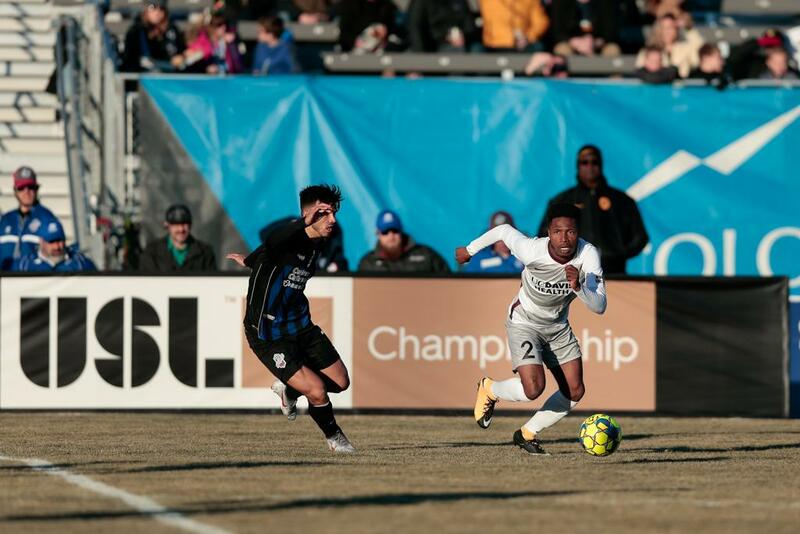 The three-time NCAA champion made a surging run down the left wing and into the box before being brought down by Switchbacks’ Jamal Jack on the endline in the 56th minute. The referee pointed to the spot and Iwasa stepped up to calmly slot home what would be the lone goal of the match. 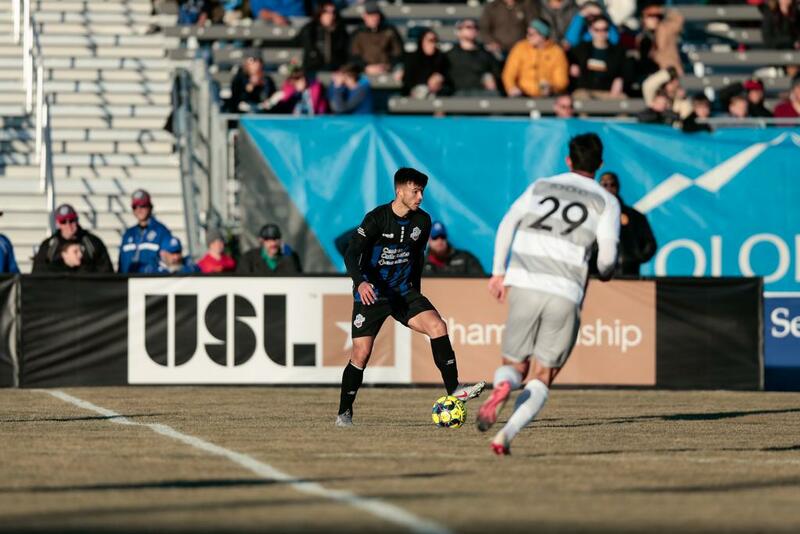 The goal extended Iwasa’s all-time goal scoring record in league play to a team-leading 31 goals. Werner was once again involved a few minutes later, nearly doubling Sacramento’s lead with a cross that deflected off a defender before hitting the far post and bouncing away from danger. With 10 minutes to play, midfielder Jaime Villarreal entered the match in what was his first appearance for Republic FC since August 18 of last season when the Southern California native suffered a severe foot injury against his former club, LA Galaxy II. Next up for the Indomitable Club is a Sunday matchup at home on March 24 against OKC Energy FC. Scoring Summary: SAC – Cameron Iwasa (penalty) 31. Misconduct Summary: COS – Jamal Jack (caution 56); SAC – Drew Skundrich (caution) 78. Sacramento Republic FC – Josh Cohen, Shannon Gomez, Mitchell Taintor, Haris Chantzopoulos, Dekel Keinan, Ray Saari (Jaime Villarreal 79), Sam Werner (Hayden Partain 75), Drew Skundrich, Cameron Iwasa, Tyler Blackwood, Stefano Bonomo (Matt Mahoney 90+5). Subs Not Used: Rafael Diaz, Elliott Hord, Keven Aleman, Roberto Hategan. Stats: Shots: 13, Shots on Goal: 4, Saves: 2, Fouls: 12, Corner Kicks: 2, Offside: 1. 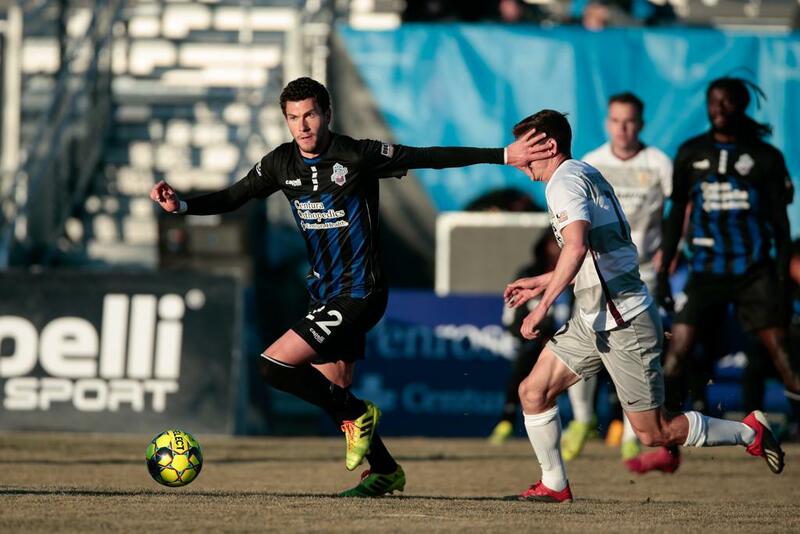 Colorado Springs Switchbacks FC – Clint Irwin, Ismaila Jome, Jamal Jack, Kofi Opare (Kristoffer Reaves 67), Jordan Burt, Jordan Schweitzer, Rony Argueta, Alex Molano (Ibrahim Yaro 74), Shane Malcolm, Saeed Robinson (Matt Hundley 90+1), Mike Seth. Subs Not Used: Abraham Rodriguez, Sam Raben, Logan Hitzeman, Kwasi Donsu. Stats: Shots: 14, Shots on Goal: 2, Saves: 4, Fouls: 12, Corner Kicks: 6, Offside: 1.